Now a days, brand managers are using the taglines effectively to redefine the brand abbreviations. LG the name born out of the abbreviation of Lucky Goldstar is now associating its tagline “Life’s Good” with the letters LG. HP uses the tagline “Hit Print” in its recent ad campaign for its print business. 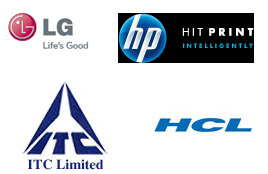 Will Indian FMCG major ITC or IT giant HCL redefine their brand abbreviations with a smart tagline?